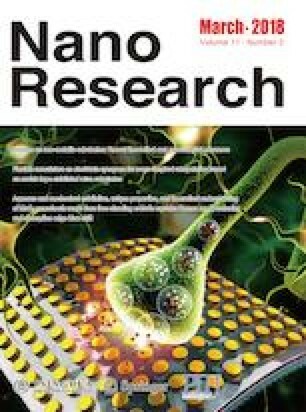 Graphene nanoplatelets/aluminum (GNPs/Al) nanocomposites were fabricated using a novel two-step method. High resolution transmission electron microscope (HRTEM), Raman, field emission scanning electron microscopy (FESEM), X-ray diffraction (XRD), energy dispersive X-ray spectroscopy (EDS), EDS mapping, and mechanical testing system (MTS) were applied to characterize the microstructure and mechanical properties of the GNPs/Al nanocomposites. The GNPs were homogeneously dispersed in GNPs/Al nanocomposites, and presented a fine interface behavior and microstructure characteristics. A harmful phase, aluminum carbide (Al4C3), was not observed in significant quantities in the nanocomposite. Compared with pure aluminum, the mechanical properties of the GNPs/Al nanocomposites containing a low volume fraction of GNPs were sharply improved. 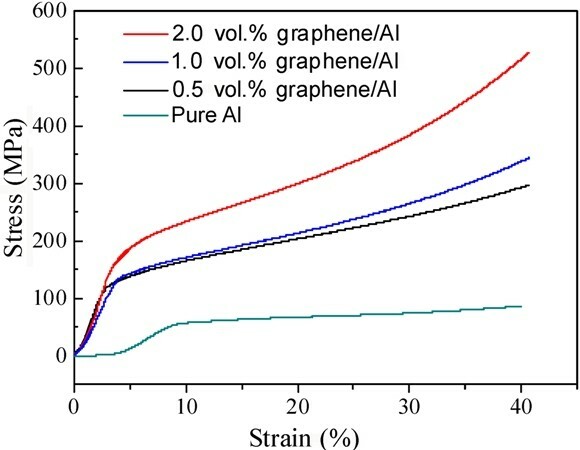 When 0.5 vol.%, 1.0 vol.%, and 2.0 vol.% GNPs were added to the aluminum matrix, the average compressive strength of GNPs/Al nanocomposites was 297, 345, and 527 MPa, respectively, which remarkably increased the strength over the original aluminum by 330% to 586%. This project was supported by the National Natural Science Foundation of China (NSFC) (Nos. 51562027 and 11372100), and Jiangsu Key Laboratory of Precision and Micro-Manufacturing Technology.